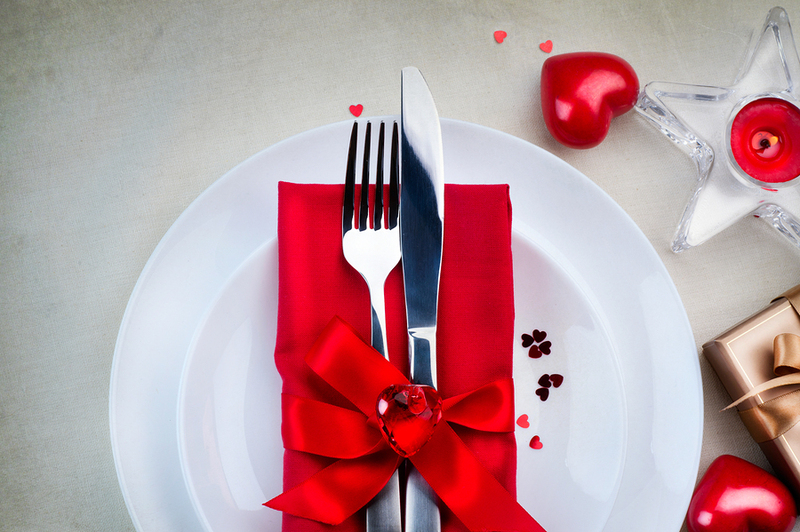 Have a Romantic Valentine’s Day Dinner February 14 | Joe Hayden Real Estate Team - Your Louisville Real Estate Experts! Go to historic Whitehall this Valentine’s Day for a romantic, decadent dinner. You’ll be surrounded by luxurious history, inside a candlelit setting that’s perfect for this night of love. And no matter what, treating your love to a four-course dinner inside one of Louisville’s tourist attractions is definitely going to score you some big points. Go inside historic Whitehall at 7 pm on February 14 for a beautiful, elegant romantic dinner. There really will be candlelight, and a tasty four-course meal served with wine. Call ahead to make your reservations. Tickets are $100 per person, and that includes the whole meal and the wine that comes with. You’ll select your entrees when you buy your tickets. And because this event is being held at historic Whitehall, almost half the ticket cost is tax-deductible. The event includes valet parking, always an impressive touch when you’re on a date. Dinner lasts until 10, giving you plenty of time to charm your dinner companion and enjoy the beautiful surroundings. You’ll find Whitehall at 3110 Lexington Road, just a few blocks away from Crescent Hill. After you visit Louisville’s past at Whitehall, go to Crescent Hill to get a look at Louisville’s future. This trendy neighborhood is the perfect place to find something new, discover something unique and taste something totally different. What’s New in Crescent Hill? If exploring new things is romantic to you, extend your Valentine’s date into Crescent Hill. This neighborhood is constantly reinventing itself and keeping up with the times, though it’s been a part of the Louisville landscape for decades. There's something for everyone to do in Crescent Hill. After you shop in the trendy boutiques and sample the stuff at the cutting-edge restaurants on Frankfort Avenue, you can play a round at the Crescent Hill golf course. See Louisville's history at the Crescent Hill Reservoir. Then, take a look at all the amazing homes that make up this Louisville community. Real estate here is so sought-after, you could see the "for sale" signs changing while you take a walk around the neighborhood. Crescent Hill truly has every type of housing. You can find a grand home that looks like a mansion, set back from the road on a bright green lawn. Or, you can choose to live in a fabulous luxury townhouse near the center of all the action. There are historic homes with Craftsman architecture, imposing brick homes built with a classic look, even romantic little bungalows perfect for couples. Crescent Hill is still one of the most popular neighborhoods in Louisville. It's just the right setting for creating a new life -- and what's more romantic than that?